A screening of new and in-progress video + poetry + music work(s), by Dao Strom and Roland Dahwen/Patuà Films and Stephanie Adams-Santos. Plus we’ll have some space for light discussion on hybrid work, poetry, music, video processes. “Traveler’s Ode” (by dao strom) is a sung-poem live music recording video, made with Roland Dahwen (director), Edward P. Davee (director of photography), and sidony o’neal (sound recordist). 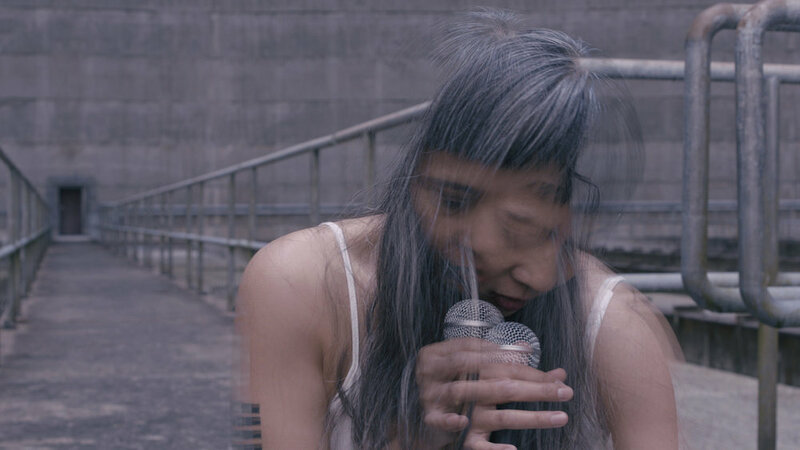 It is part of an ongoing hybrid forms + music-poetry + collaborative art project by Dao Strom that has received funding from a RACC Project Grant (2017) and the Creative Capital Artist Award Program (2016). Three Moons/Tres Lunas/3つの月 is a two-channel video installation and altar, dedicated to, and made alongside, our elders. It revolves around three exquisite members of our community: Amanda García, Rikuku Heshiki, and Kazumi Heshiki. The project is a continuation of work that Roland Dahwen Wu & Stephanie Adams-Santos have been doing to share their ongoing work around poetry, memory, and honoring our elders. This event takes place at the De-Canon Library @ Milepost 5. Please stay later into the evening to celebrate the year’s end at De-Canon: A Visibility Project with us, as well ! Community social time from ~8PM on. De-Canon: A Visibility Project is a literary arts social engagement project that takes shape as a “pop-up library” and a website. De-Canon has received support from an APANO Place-Making Grant, the Precipice Fund, The Andy Warhol Foundation for the Visual Arts, and the Calligram Foundation.